New York City has an abundance of restaurants, bars, shops and more, all within walking distance of a subway stop. Often times we, myself included, stick to our comfort zone when it comes to venturing out on the weekends. With these guides I hope to encourage others, and myself, to explore parts of the city that you’ve never been before. The best part is everything is conveniently located off of a subway stop. 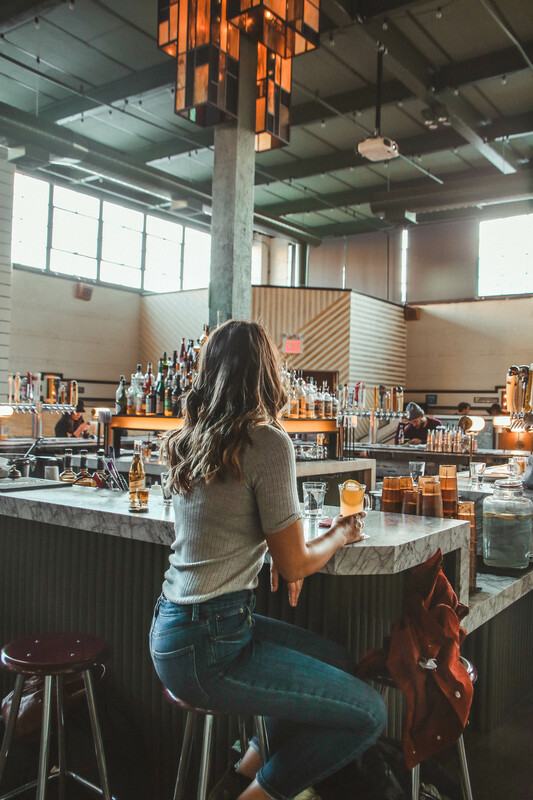 I’ll be starting these off with the Morgan Ave stop off of the L Train, giving you the lowdown on the best things to do and see in the area. Dobbin Street Vintage – This is an affordable vintage shop in the area, with some great finds. They have a range of furniture from table and chair sets and couches, to bar carts and coffee tables, but one of my favorite things that they have is an endless supply of unique home decor. 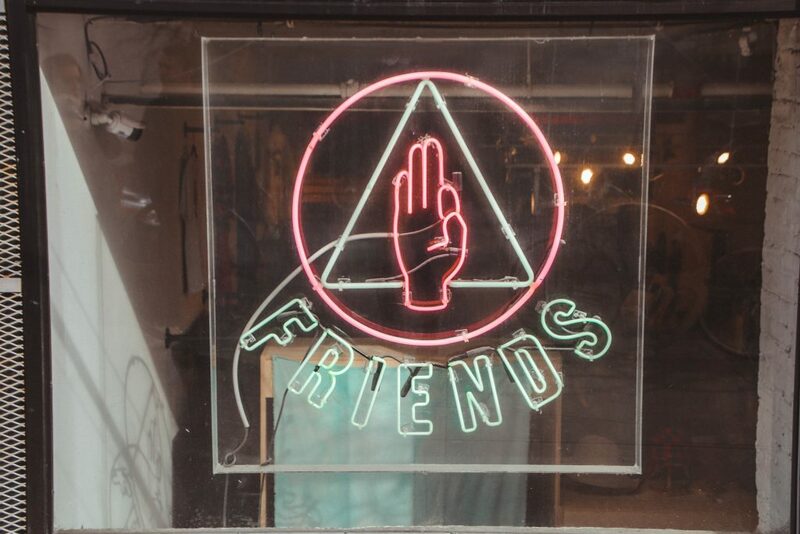 Friends – By far one of my favorite shops in Brooklyn, this place is filled with a mix of new and vintage clothing, accessories and homeware for both men and women. With an eclectic range of brands from Honey Punch to Crap Eyewear, they really have something for just about anyone. It’s really hard for me to leave here without swiping my credit card, so proceed with caution! 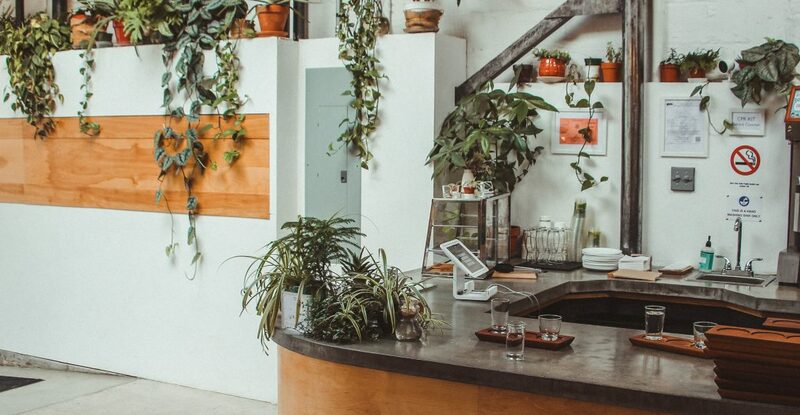 Other Times Vintage – For me, this is more of a spot that I go to for interior inspiration, rather than to actually purchase things, mostly because I can’t justify paying $90 for a small house plant, but to each his own. 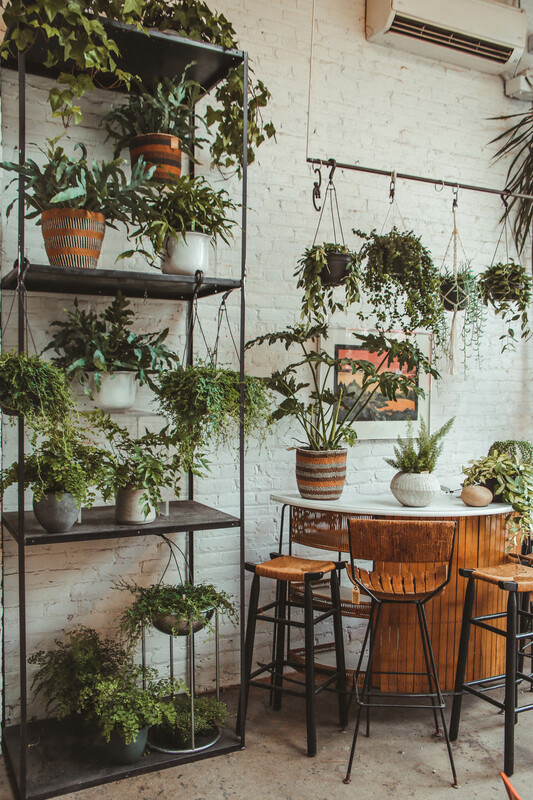 It’s full of luscious plants and gorgeous vintage furniture and decor. Cape House – I’ve written about this spot in this post here, but had to bring it up again in this guide. 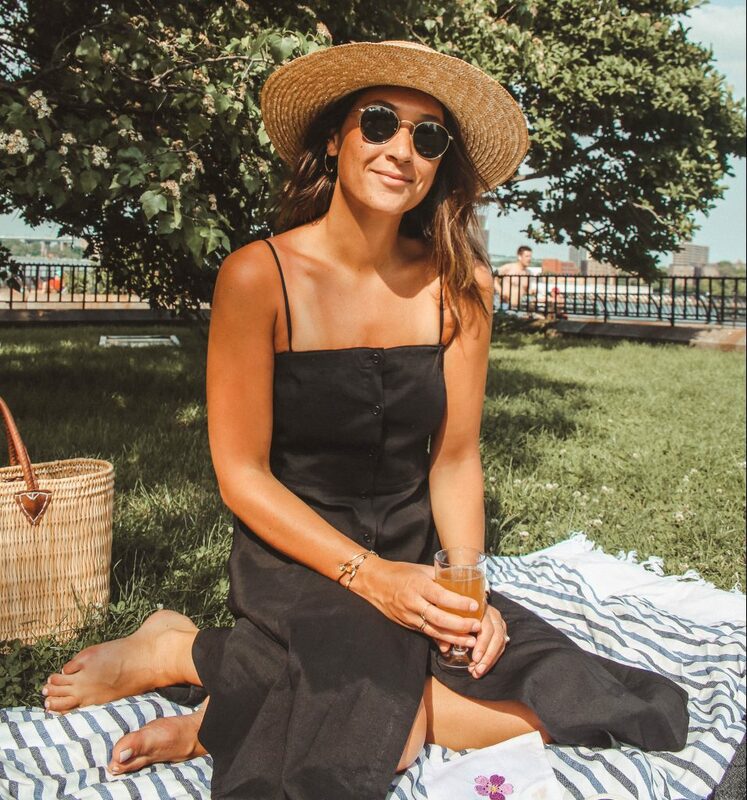 With a large outdoor area lined with picnic tables and an overall vibe that makes you feel like you’re quite literally, at the cape, this is a great spot when you want to transport yourself somewhere warm, and it even has good drinks and food. Roberta’s – This might be one of the best spots for pizza in Brooklyn. Whether you’re sitting down for a meal at the restaurant, or picking up a pie at their to-go shop, their food never disappoints. The “brand” that this spot has created is very Brooklyn, down to the decor in both of their locations. I highly recommend checking this spot out if you’re in the area. Syndicate – (pictured below) Where do I begin with this place? It’s truly a hidden gem in the area. Not only is it a killer bar and restaurant, but they also have $9 movies in their intimate 60-set movie theater. The whole place is designed just like an old-school theater, even down to the lighting at the bar area. On top of that, these are some of the best cocktails that I’ve had in a while. It’s safe to say, I’ll be here all the time. 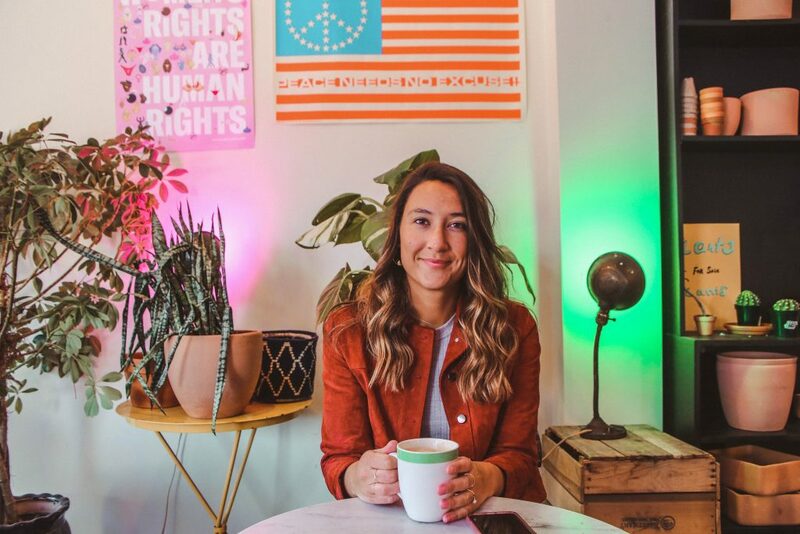 Bake Shop – This is your typical local coffee shop, but with better baked goods and colorful decor. Located a short walk from the subway, this is a great spot to grab a coffee with friends or spend the whole day working. You’ll never have a shortage of desserts, that’s for sure. 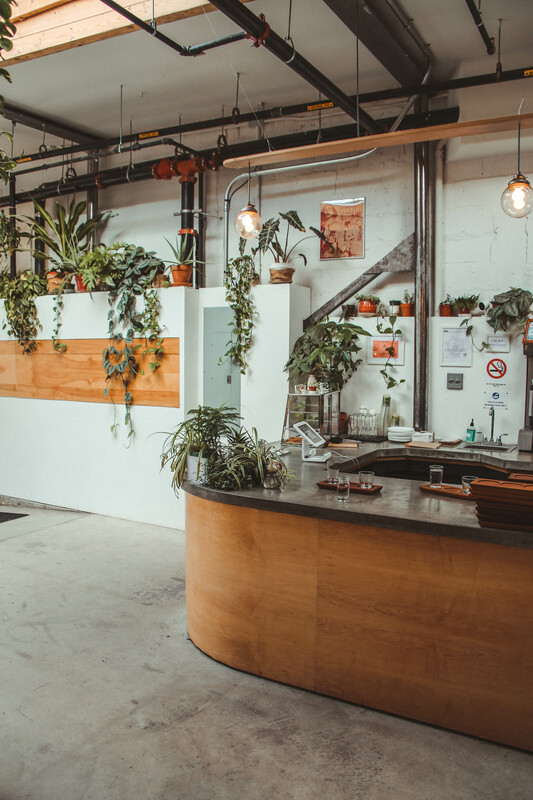 City of Saints Coffee Roasters – I love this spot in the summertime. They open up their large garage door opening, transforming the space into an open air coffee shop. I could spend all day here, sipping on a cold brew. Sey Coffee – (pictured below) This is a great spot for an afternoon work meeting or a coffee date with friends. The large glass garage door (seems to be a theme in Bushwick, right?) and sunlights allow an abundant amount of light to come in, making it a bright and inviting space. And let’s be serious, I can’t resist a place with some serious plant goals.